1. The weekend is gone. Sometimes I think I work harder on weekends than I do during the week. 2. 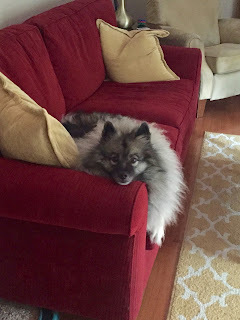 Makayla was on the couch the other day, relaxing. She gave me a look which seemed to say, do you really have to take a picture of this? 3. There is something mystical about greeting the new day on the golf course. 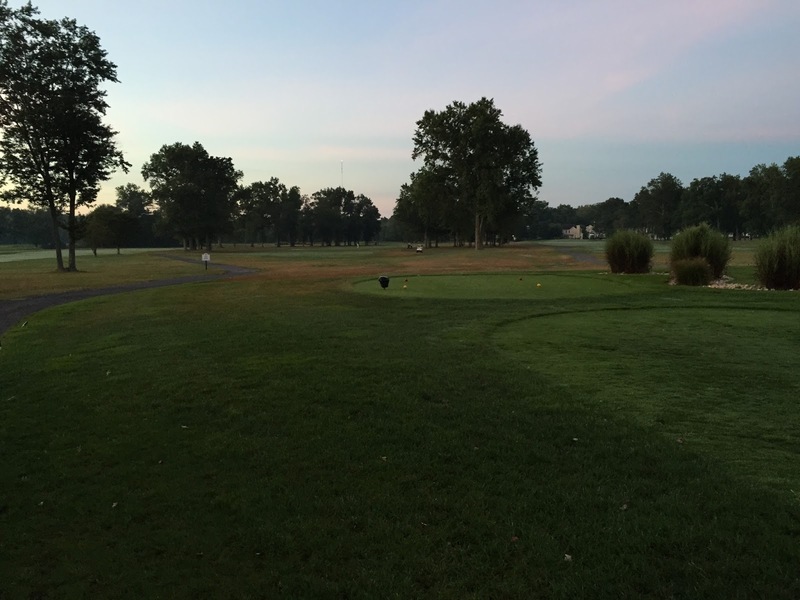 Yesterday out Tee Time was before dawn and we arrived in time to warm up. It is hard to hit balls on the driving range and have no idea where they are going. 4. 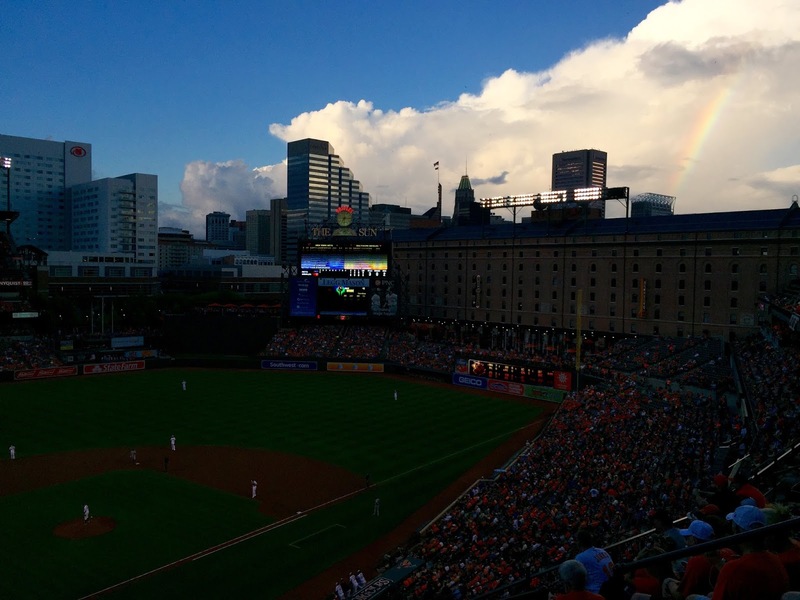 The Orioles certainly did not help their quest to repeat as American League East Champions by losing four straight games to the Minnesota Twins at home over the weekend. They are now 6.5 games out of first and headed to Kansas City to face a team which traditionally gives them trouble because they match up well. I am feeling the post-season slipping away. 5. 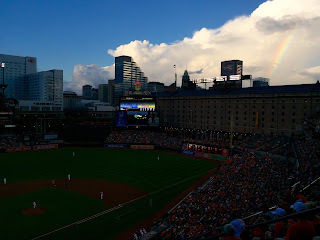 Continuing the baseball theme, I snapped a realign interesting image of a rainbow over Camden Yards last week. I had hoped it was a sign of rebirth and renewal, alas, it was not to be. 6. It looks as if it is going to be another rough day for the stock market. I wish that China would get their act together. My retirement funds are taking a nosedive! 7. Here is an interesting read from August 18, 1939, the review of The Wizard of Oz. Hmmm. 8. On this day, August 24, 79 (yup that is 79 as in 79 AD), Vesuvius erupted. 9. OK, I just have to mention the birth of the twin pandas at the National Zoo. Really exciting for panda watchers of all ages.